If handling every aspect of your website or blog is just too much or beyond your skillset, you will likely benefit from researching WordPress maintenance plans that can offer you the additional support you need. Over the years finding such a service usually involved finding a freelancer or web design company either in your local area or on a freelancer website like UpWork but I often hear complaints of this being either expensive, inconsistent or just not sufficient. WordPress has become a market leader over the years and now makes up for 21% of all websites online, and with that savvy WP specialists have created tailored maintenance plans and packages that are more efficient than before. 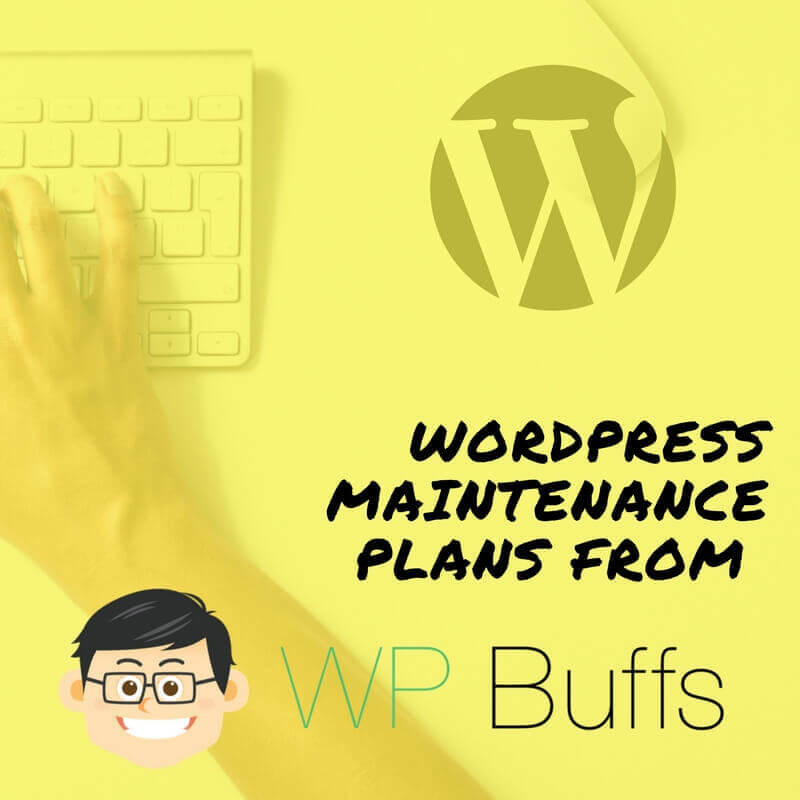 I have tried and tested several service providers over the years with my clients and have had some good experiences and some not so good however there’s a fairly new company in town that is offering an amazing WordPress maintenance and support service called WP Buffs. Why do I love WP Buffs? WP Buffs offer website edits 24 hours a day, something that is very handy when time is of the essence and you want to be able to continue working without disruption or waiting until next week. They handle your Wordpress security by installing and configuring iThemes Security Pro plugin for free that usually comes with its own license fees but these are taken care of when you are signed up to WP Buffs maintenance packages. This will make your website bulletproof and drastically reduce the chances of you ever being hacked and losing up time. WP Rocket is another plugin included which is one of the best caching plugins for WordPress, this is installed and configured on your behalf to get the best performance possible. They will also install WP Smush Pro to make sure you can benefit from the best image compression. The bottom line here is that your website will be lightning fast! Your website will be monitored 24-7 to ensure your website is loading and your server isn’t down, they ping your website 1,440 times a day so if your site ever goes down they will know in less than a minute and be able to intervene to find out why. Benefit from knowing the software powering your website, WordPress, your theme and plugins will be updated once a week to make sure you never fall behind, benefit from the latest innovations in the WordPress space and don’t end up with any old and out of date plugins which could result in security weaknesses. WP Buffs are US based but have helpers globally to ensure you are supported around the clock and in your own native language and their reviews over the past year show a 98% customer happiness rating. Each month you get access to a new set of reports detailing each change and update that has been performed. These reports include details like the backups taken, uptime data, speed scores, analytics and even your WooCommerce data if you are running an eCommerce store. Another thing I massively respect about the guys at WP Buffs is their commitment to social enterprise and making “business a force for good” as they actually spend 10% of their resources go toward helping non-profits for free. How about that? Now that’s setting a new benchmark in my book, I don’t know about you! The maintenance care plans vary depending on which package you choose. There are currently three main options you can choose from. The introductory plan for webmasters with less complicated websites and requirements but still ensures your website is working all day every day and your website is up to par from day one! A 5-min emergency response is included. Do you want your website to be both insanely fast and secure and hardened as possible? Also includes $1,000 of premium plugins included free. The Perform Plan Pro includes support for sites with eCommerce, membership, multilingual, and other advanced functionality not found in a typical WordPress install. If you are running WooCommerce or a Learning Management System (LMS) You will need to use this option to have full support. Includes support for WooCommerce sites. Support for other advanced WP sites that include membership, LMS etc. If the above plans don’t fit the bill then they also offer bespoke maintenance packages for websites that are a bit more bespoke in their requirements but of course, you need to contact them and have your website and needs assessed first. All of the plans are typically setup within 24-48 hours of signing up so you won’t be left waiting around to get started with your new remote support team. When you first join you will receive a series of emails explaining the best ways to use and benefit from the service. If you have a problem with your site you use the video capture tools they recommend in their induction emails and send them a short video, this makes it easy for them to get straight to work in fixing everything quickly. While it says “unlimited edits” it is important to understand that this doesn’t include basic content edits and things you should be able to maintain yourself, adjusting plugins of third-party plugins or CSS adjustments. It’s also not possible for them to work on custom PHP development for your site like building plugins, themes, and coding or graphic design and building your website. The service is aimed at supporting your already existing and stable website. Ready to give it a try? Sign up here. So if you are in need of ongoing technical support with your WordPress website or blog then check out WP Buffs and give yourself superpowers! Then you can focus your time and energy on what matters, creating amazing content and promoting it!